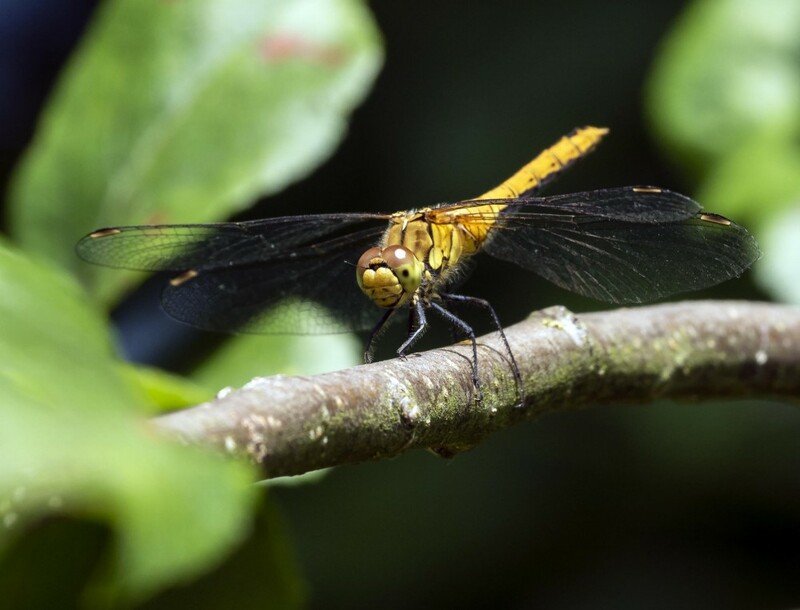 3 new species on the wing! One week away enjoying the gales and rain of Norway and so much happens! All this fabulous weather has encouraged 3 more species onto the wing. 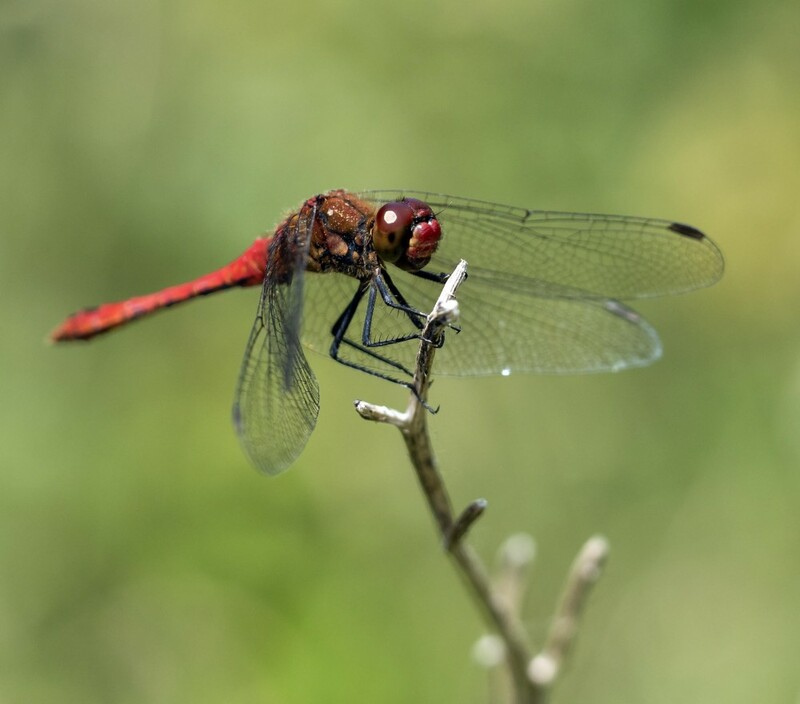 Ruddy Darter has been recorded and beautifully photographed by Paul Spear at Venus Pools. 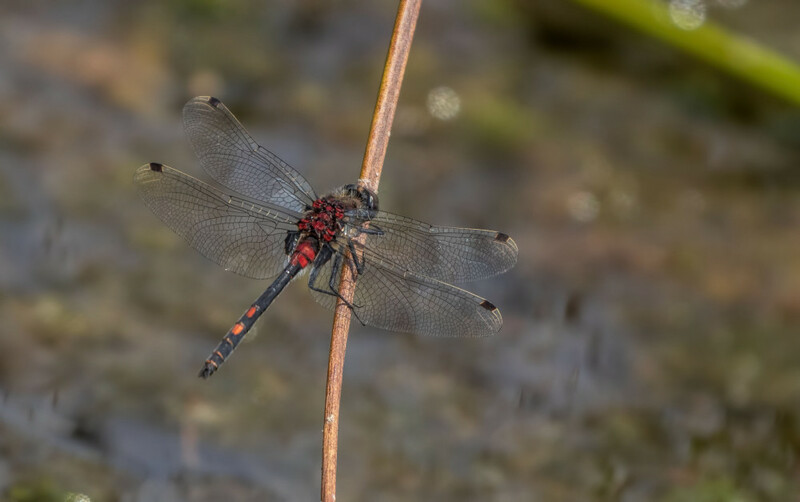 The male (left) clearly illustrates why this species is so named with it’s vibrant blood red colour and the female is shown below. 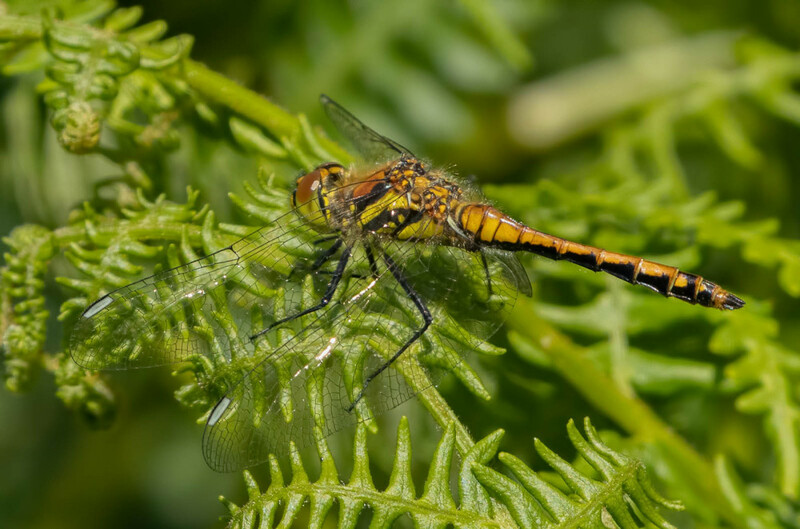 Stephen Barlow has also seen the first Southern Hawkers on the wing at Whixall Moss. His picture (below right) clearly shows the broad antehumeral stripes on this immature male. 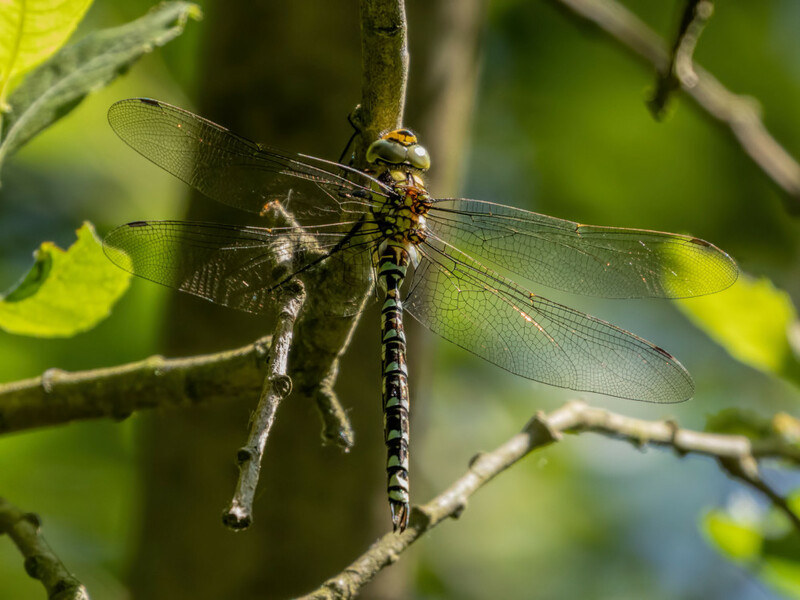 Stephen has also photographed the first Black Darters at Whixall Moss (far below left) not to be confused with a few old White-faced Darters still hanging on in ever decreasing numbers.